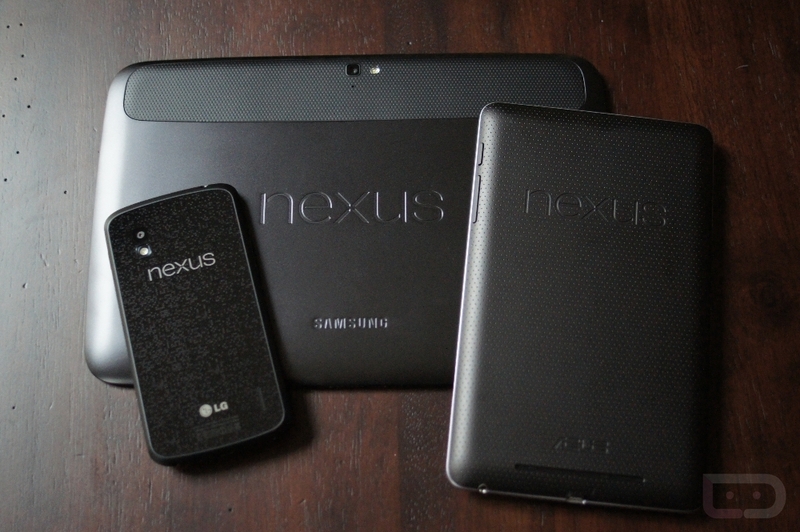 Well, we have the Nexus 4 and Nexus 10 in the house. Both launch tomorrow on Google Play, but why don’t we take one last look at them before that happens? Below, you’ll find some sparkly photos of the Nexus 4, the Nexus 10 in hand so that you can see the size, and an embed of the live unboxing and hands-on video that Tim and I did earlier. Only a few hours left and these could be yours! Full reviews and feature highlights in the coming day.